An Eco Friendly Floor Are Becoming More Widely Available To You! 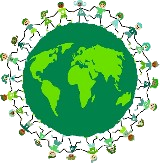 I learned quite a lot of valuable information in my development of this page on eco friendly flooring. I hope that you feel the same way once you review all that I have discovered. Let's consider the three most popular materials; carpeting, wood flooring, and linoleum. Wood floors are beautiful, but you should first consider the environmental impacts of purchasing traditional hardwood flooring. The importance of trees - Trees play a significant role in keeping the earth hospitable for humans. They absorb carbon dioxide (a greenhouse gas) and release loads of oxygen, provide habitat to 90% of land-dwelling plants and animals, and protect and enrich soil. Forest destruction - Though renewable, the harvest of trees for human consumption is rapidly degrading intact forests. The planet's land used to consist of approximately 46% forest, but in order to meet world demands for wood, today nearly half of the world's original forests have been cut down and only one-fifth remain untouched. On average, 49 million acres of forest are cut down every year. Bamboo flooring and eco cork flooring are rapidly renewable resources, which require much less time to grow to maturity than the average tree. 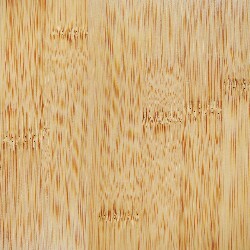 In the case of bamboo, it can reach over 100 feet within 3-years and hardness maturity after an additional 2-years. 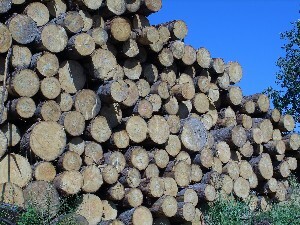 Using this abundant alternative wood-like resource prevents valuable hardwood forests, which usually take 35-45 years to grow, from being harmed unnecessarily. 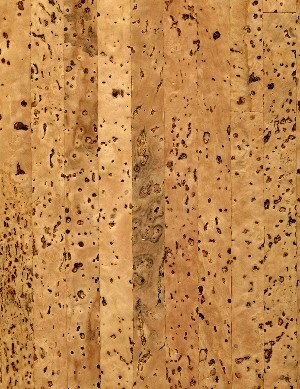 As flooring options, cork and bamboo are both durable, sustainable and beautiful. Recycled or reclaimed wood flooring options - These woods have been salvaged from lakes and rivers, old buildings, and other salvage projects. This option is often less expensive than using new wood. FSC-certified wood flooring - The FSC (Forest Stewardship Council) ensures that forests are properly managed, and only certifies those wood products which follow strict guidelines from start to finish. Currently it is the only credible wood certifying organization recognized worldwide. Eco Friendly Flooring Using Tile, Or Is Tile Material Not So Friendly After All? Tile is another great flooring option-it's easy to clean, durable, and long-lasting, but can it be considered an eco friendly flooring option? High-maintenance ceramic - Ceramic tile, although more durable than wood and vinyl linoleum, requires more maintenance than other hard-surface flooring. This is especially true of the grout, which often needs to be resealed and/or reapplied. Ceramic manufacturing is also water- and energy-intensive. Out-gassing sealants - Most regular tile sealants contain strong chemicals that will out-gas for some time after installation, which may cause headaches and other health problems. Heavy transportation - Since tile is often quite heavy, transporting it to your home can require a significant input of fossil fuel energy. This is likely the biggest environmental downside of natural stone and ceramic tile flooring. Recycled glass tile - Glass tile, if made from post-consumer recycled glass, is the most environmentally friendly tile option available. 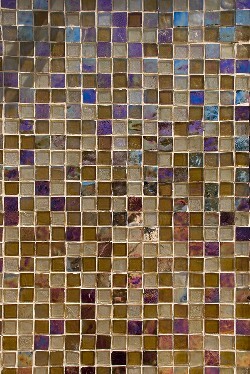 Choose glass tiles that are durable and less prone to scratches. Durable stone tiles - Stone is likely the most durable of all tile flooring options, since it requires fewer repairs and replacements. And be sure to overcome the transportation and gasoline drawbacks of tile by choosing material sourced locally if possible. Terrazzo tile - Terrazzo tile, which contains chips of stone, concrete, tile, glass, or masonry, (materials which are often post-consumer recycled) is bound together with an adhesive such as concrete or epoxy. This very durable tile has a long life, but can contain chemicals that will outgas for sometime, so try to choose ones that are more natural. Ceramic tile - If you opt for ceramic for your floors, try to choose tile that has colour going through all layers so that if it is chipped or cracked, the blemish is not as noticeable, thus making for longer-lasting flooring. Does Eco Friendly Carpet Flooring Really Exist? Carpets keep your toes warm on those cold winter mornings, but the chemicals that go into them may have you tip-toeing out of the room. Short life-cycle - As far as flooring goes, carpet has the shortest life-cycle, lasting only about 11 years, resulting in 2 million tons of the stuff tossed every year in the US. Synthetic fibers - Most carpet consists of three main synthetic parts: a carpet pad, topped with backing and face fibre (such as nylon, polyester, olefin, and acrylic), which are held together with an adhesive. All of these synthetic fibres are made from petroleum products (a non-renewable resource), which require a great deal of energy and water to make, and which create loads of pollution in the process (including hydrogen cyanide â€“ a carcinogenic gas). Out-gassing, oftentimes mistakenly referred to as "off-gassing" - Carpet backing is nearly always made from PVC (a polymer plastic which creates several ecologically hazardous compounds). The backing, along with any adhesives (glues, sealers, etc) used on your carpet often contain chemicals that will outgas into your home, and when incinerated after being discarded, will release persistent toxins. Here are some carpet-based eco friendly flooring materials that you can use for your next remodel or new home construction project. Take-back programs - Some manufacturers now offer a take back program, which means they will take away your old carpet (to be recycled) when they bring the new stuff. 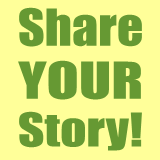 So ask about it when you are considering your next purchase. 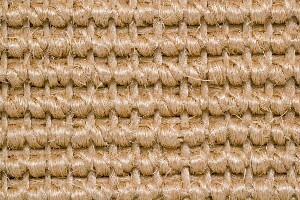 Alternative materials - Look for materials such as jute, sea-grass, wool, and sisal which are all plant-based materials that grow rapidly with few chemical additives required, and are therefore healthy, renewable choices. Many of these can also be used as carpet backings. Peal-and-stick carpet squares - This option allows you to remove stained pieces and replace them with new sections, rather than recarpeting the entire space which unnecessarily generates non-biodegradable waste. They are especially useful in rooms where spills are more likely to happen, like children's bedrooms, rec rooms, and dining rooms. Carpet made from 100% recycled plastic - This carpet, made from things like recycled water bottles, is more environmentally friendly to produce (requiring fewer new resources and less water and energy), although not recyclable when you are finished with it. Certified eco friendly - The Green Label program, which was developed in the US and adopted by Canadian manufacturers, claims to certify only those carpets that meet their indoor emissions standards. As you can see, there are certainly plenty of decent eco flooring choices available to you. Some are definitely better than others. Your selection process, like mine, will involve a balancing of environmental impacts, style, material life-cycle considerations, local or online availability and of course other personal factors. I wish you well in your decision and I will post the best suppliers for these materials soon. Maybe I can set up a directory for eco friendly floors, by listing local stores by city, state or province?